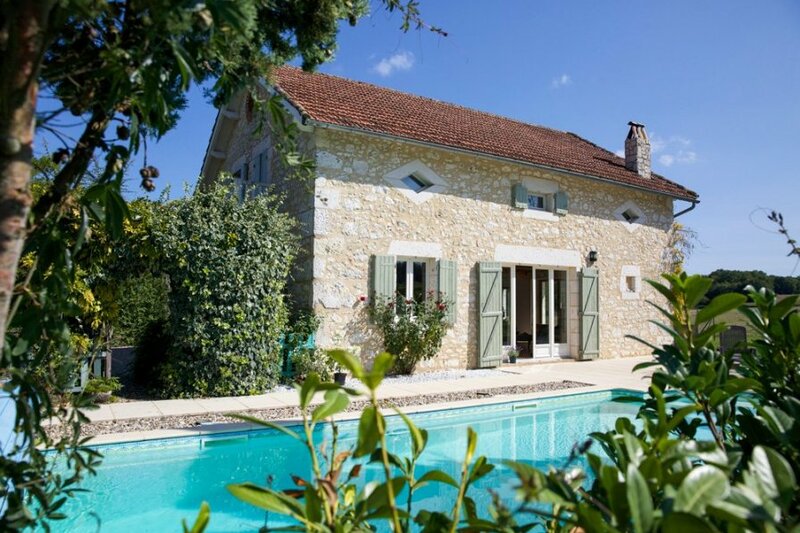 The owners of Joli Champ had a clear and simple plan: to create family friendly holiday homes in the heart of the Dordogne where castles, caves, market towns. The result is three simple yet charming stone houses made with families in mind, plus a host of handy and thoughtful services, designed to make guests' holidays easy and carefree. Indoors there are three bedrooms, an open-plan kitchen/lounge as well as a mezzanine with children's toys including a doll's house and a pirate ship. The kitchen is well-equipped and has the added bonus of offering a view over to the pool and fields. Joli Champ benefits from a peaceful countryside setting with vineyards and small farms ideal for exploring by car or bike. Yet a village is only three minutes' drive away and there is easy access to the Dordogne's many attractions, like its pretty villages, night markets, chateaux and vineyards. Eymet is only 10 minutes away, a fun aqua park 15 minutes and Bergerac, Duras and Issigeac are all under 30 minutes away. Relaxing and fun family holidays are guaranteed at Joli Champ, so it's no wonder that many guests return year after year. Bedroom 1 - Master with King size bed and en-suite bathroom including shower and bath. Balcony doors overlooking the fields. There is plenty of space for a wooden cot which can be made available. Bedroom 3 - Delightful twin bedroom with single bed and pull out trundle bed underneath. A charming third single bed on a mezzanine level is suitable for older children. “The Birdsnest” is accessible via fixed steps. Family bathroom with shower, sink and toilet. Charming mezzanine play area with a selection of children's toys including a dolls house and pirate ship. The charming medieval village of Issigeac is 25 minutes away where you will be impressed by its fascinating architecture, winding streets and its colourful Sunday morning market selling local produce. There are also boutiques, excellent restaurants and night markets in summer. Very popular events are the 'Foire aux Paniers et a la Vannerie' in July and the Medieval Day in August!